Investec financial expertise is waiting to make you wealthy. Why wait! The life insurance industry in South Africa covers a broad range of options, but only a few allow for any alternatives. A good portfolio manager at Investec might just be the solution. There is a myriad of reasons why you could choose investment as prosperity insurance instead of life insurance. If you already have a group cover policy at the company you work for this decision might be easier to make. Life insurance is a policy taken out against the risk of you losing your life. You pay a monthly premium up until your death, and your dependents receive a final payout for the amount of your insurance. Insurance is a little risk option with an ensured payout amount. 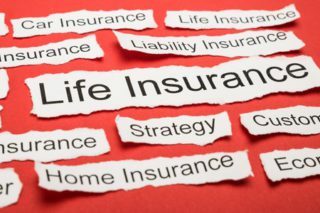 Life insurance also has extra funeral, dread disease and critical illness cover and some even include income protection, retrenchment protection and business overheads benefits. What is an investment with Investec? Investment is a monetary asset or item you buy with the hope that it will generate income in the future, and be sold at a higher price later. Go online and get free Life Insurance quotes now! There are different kinds of investments; property, FOREX, commodities, stocks, and investment packages. All supplied by companies where their qualified stock brokers invest the money on your behalf. The amount of money you have available to create a sizeable investment. You will need a lot of money to make it worth your while. Your personal needs and dependents your investment must cover. What are the risks involved? A high return investment might have a risk attached to it, and in the end, you might lose more money than you invested. How long is the term of investment? You might pass away before the investment time is complete, and your dependents might not receive what they expected. The interest rate. The current interest rate will determine the growth of your investment or savings. Taxability. In South Africa a lot of investments are taxable, this could also decrease the payout amount. Your health. If your health is declining a life policy with disability and critical illness cover might be a better option than an investment. How would you pay? Monthly or the full amount? The primary purpose of the investment is to generate income, however, not everybody has the skill or time to manage and grow their funds. Here is where a portfolio manager is of immeasurable value. Portfolio managers help you make the most of your investments. A portfolio manager creates an investment portfolio that suits your needs. They help you generate as much income as possible with the least risk involved. Funds are managed on your behalf and you receive regular reports on their progress. A portfolio manager will suggest products or investments with possible growth and taxation results. If you are financially stable, and looking for an alternative to life insurance, an investment profile might suit your needs. A portfolio manager helps you achieve your investment goals and manage your finances, to secure a better future for your dependents. To get a life insurance quote fast, complete and submit the form on the page. We will do the rest. ← Rentmeester Assurance are part of a multinational insurance group. Be part of it.